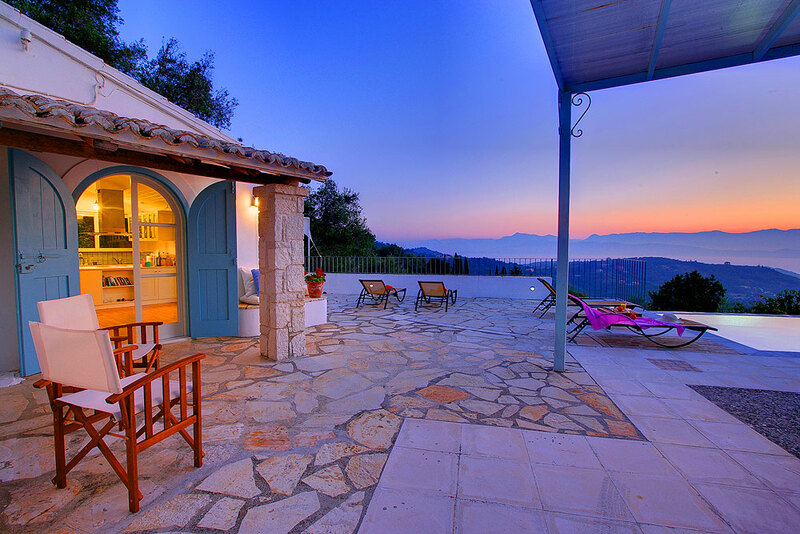 This newly restored villa is built in a traditional style to match its rural surroundings. 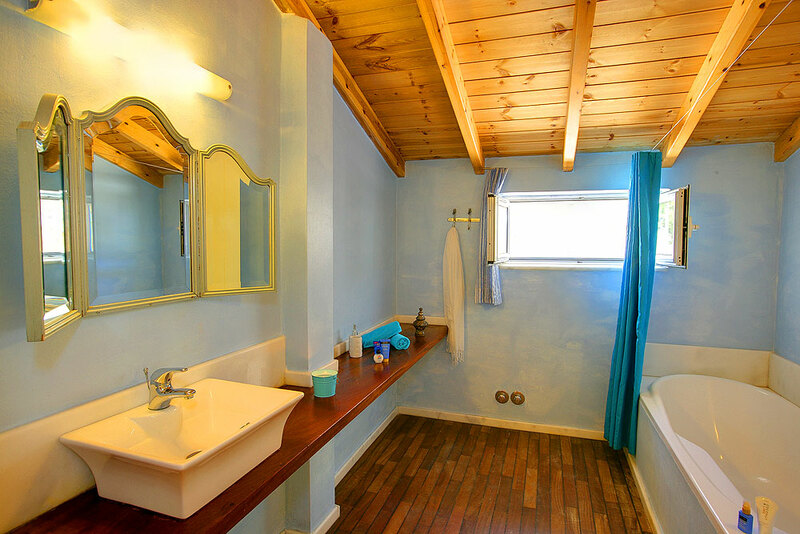 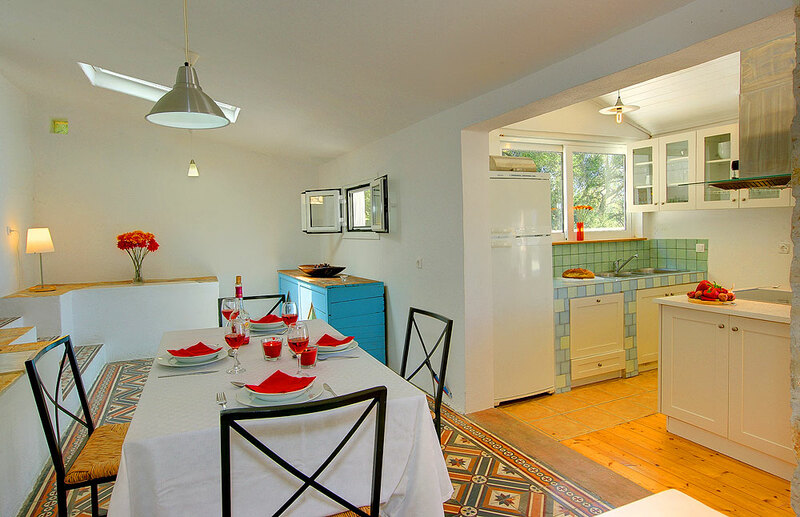 Sleeping four guests, it has one double and one twin room, both with en suite facilities, which make this property ideal for a small family or couples. 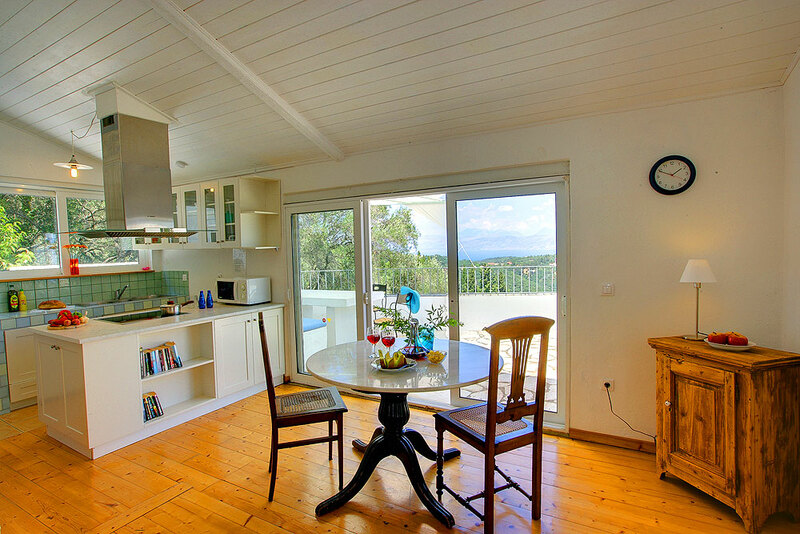 Its open plan design incorporates a kitchen, lounge and dining area allowing the sunlight to enter while it offers all modern conveniences and household appliances. 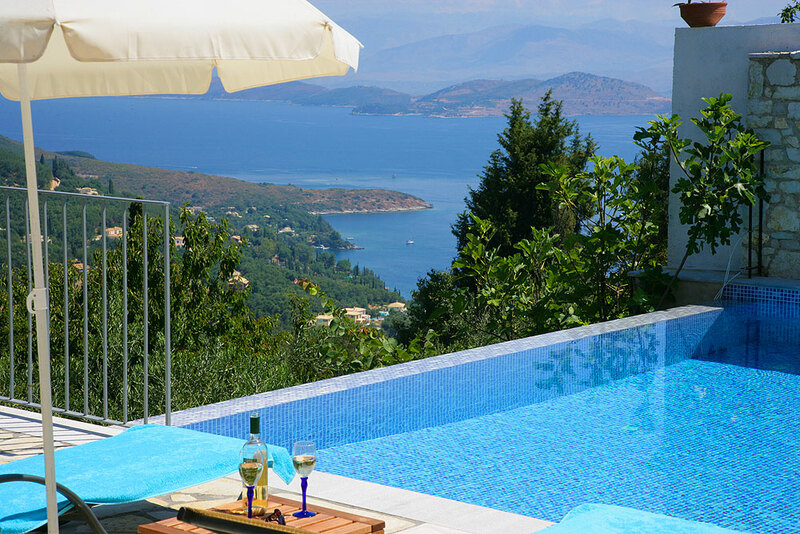 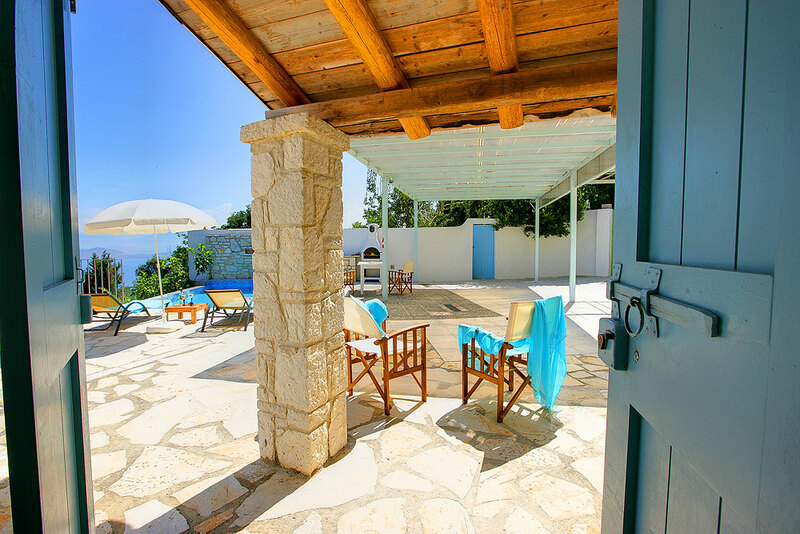 If ideal holidays for you mean serenity combined with quality accommodation, sapphire seas and lush countryside, then Artist’s House is the right place to live your Greek experience. 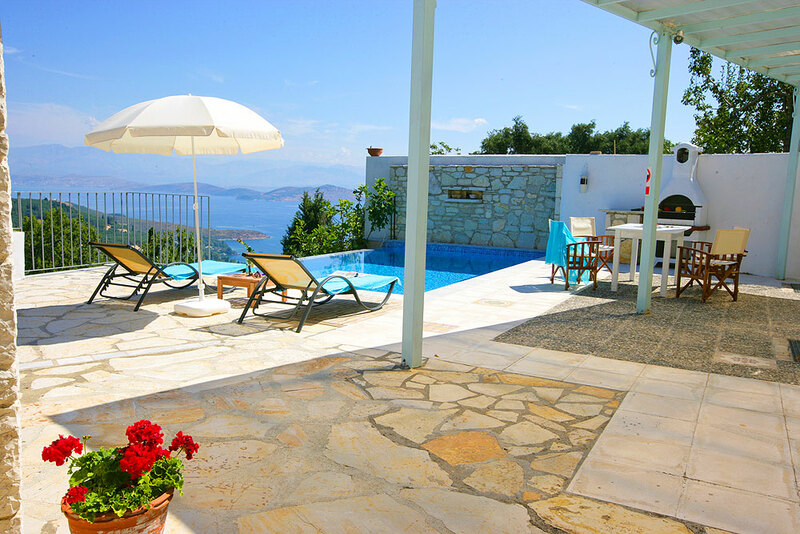 This amazing property is small, yet luxurious and located in the traditional settlement of Vigla, just 10 minutes away from the pebbly beach of Kalami and only a few minutes drive away from many popular resorts. 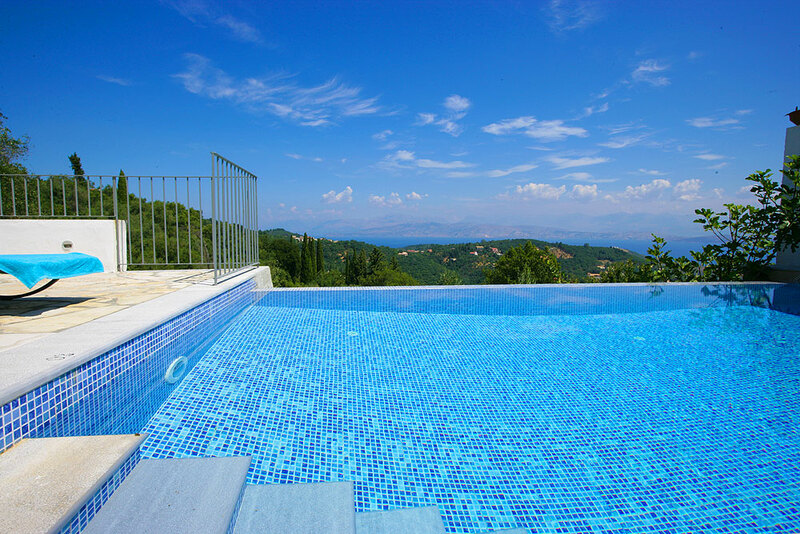 Built 250 m above sea level in a mountainous area, it provides the guests with privacy and a footpath network ideal for those who enjoy walking in the countryside. 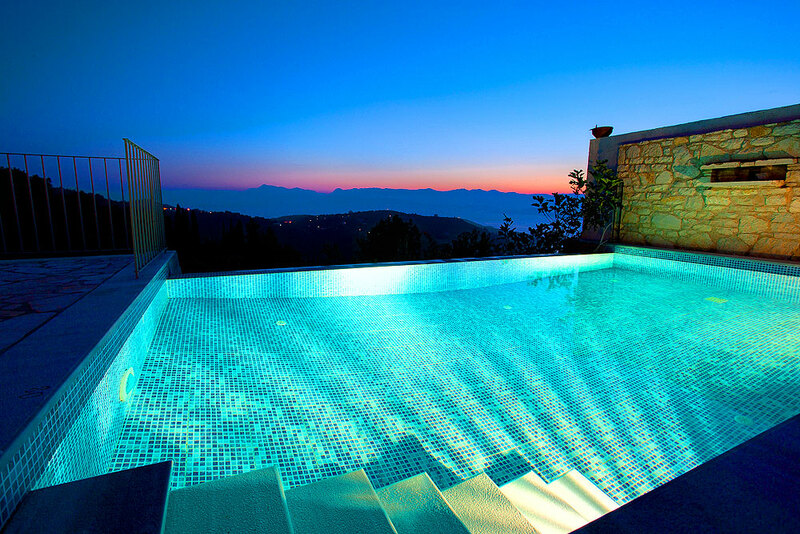 Just choose your direction and head off into the magical scenery. 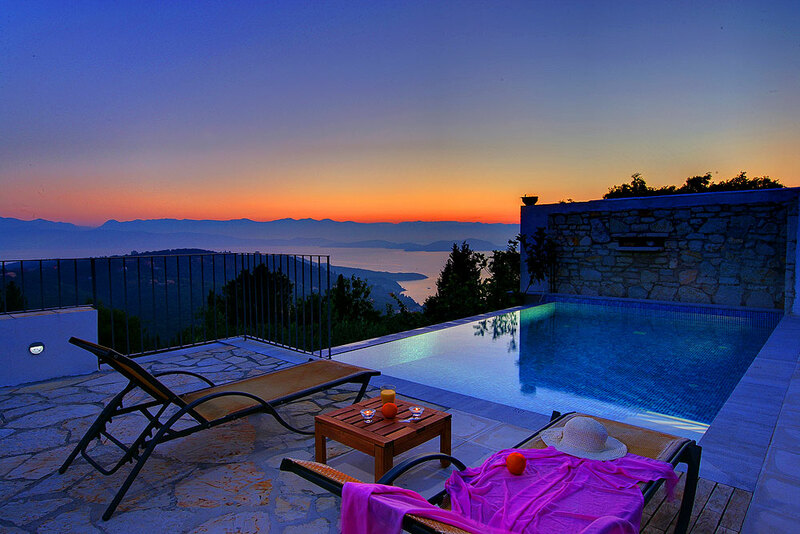 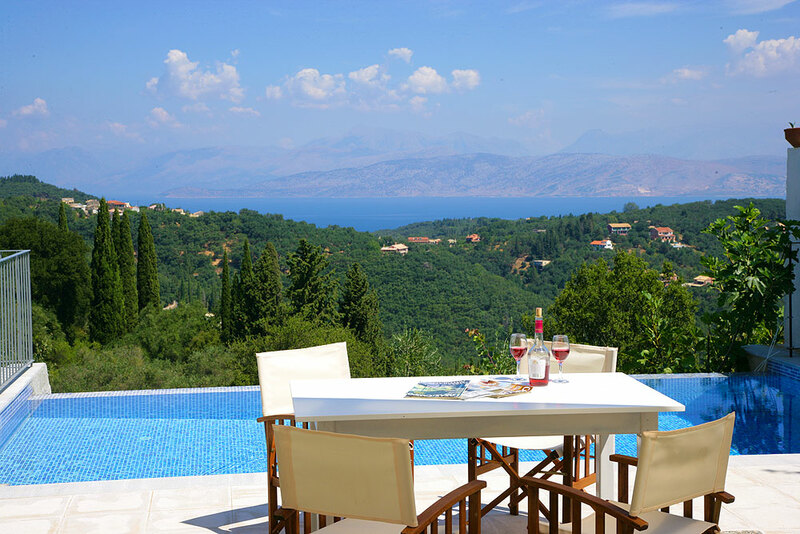 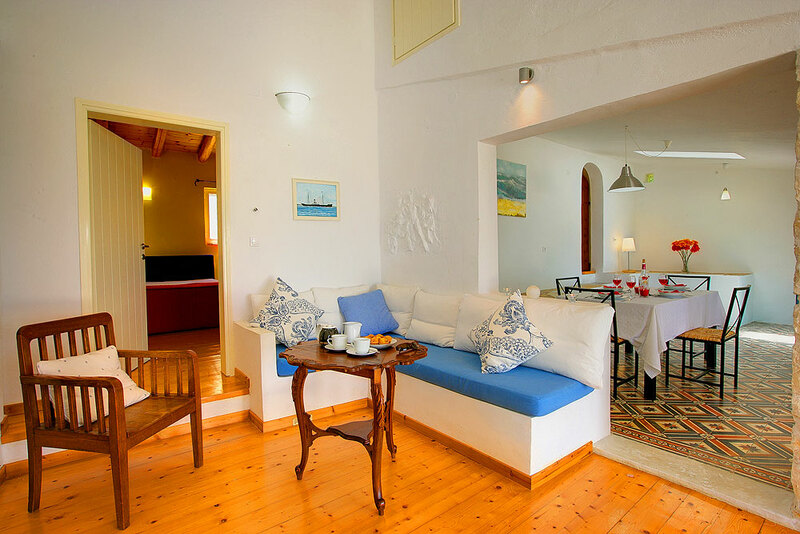 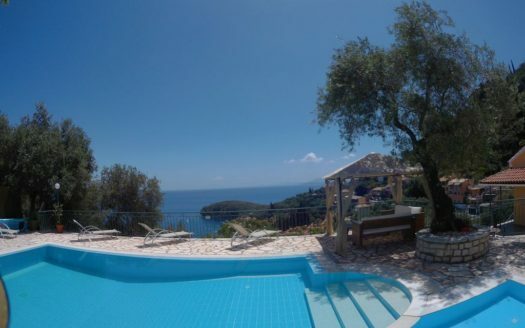 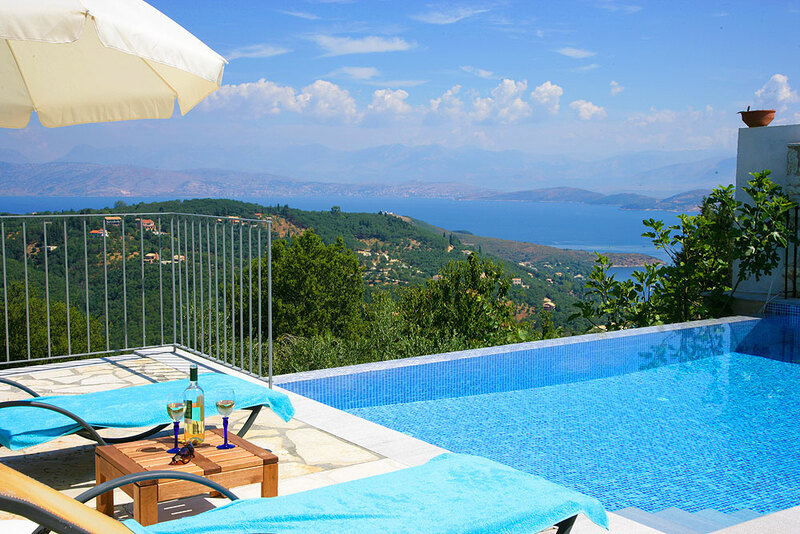 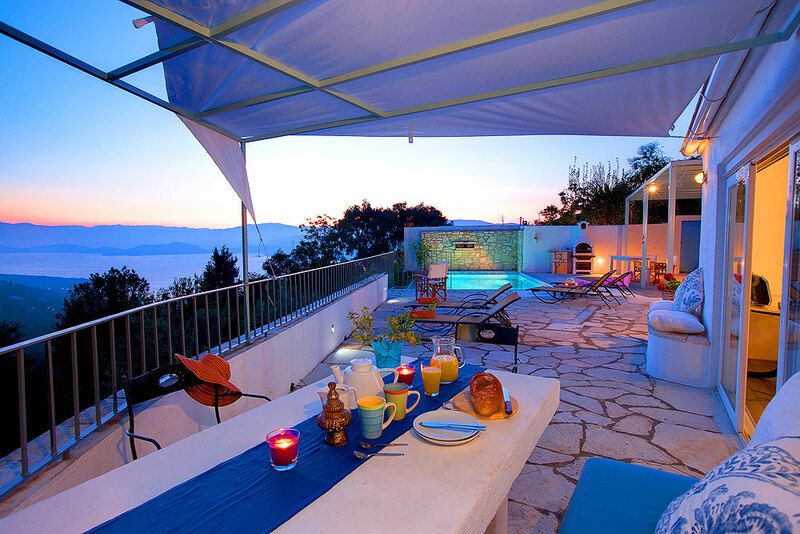 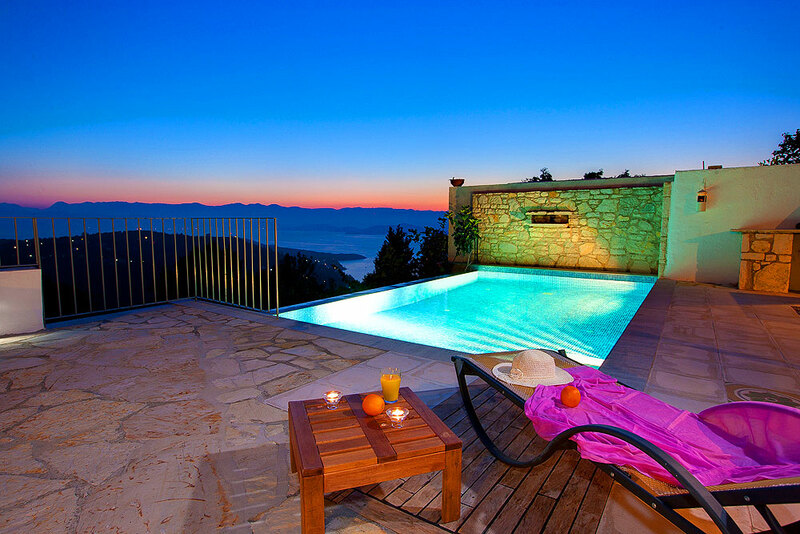 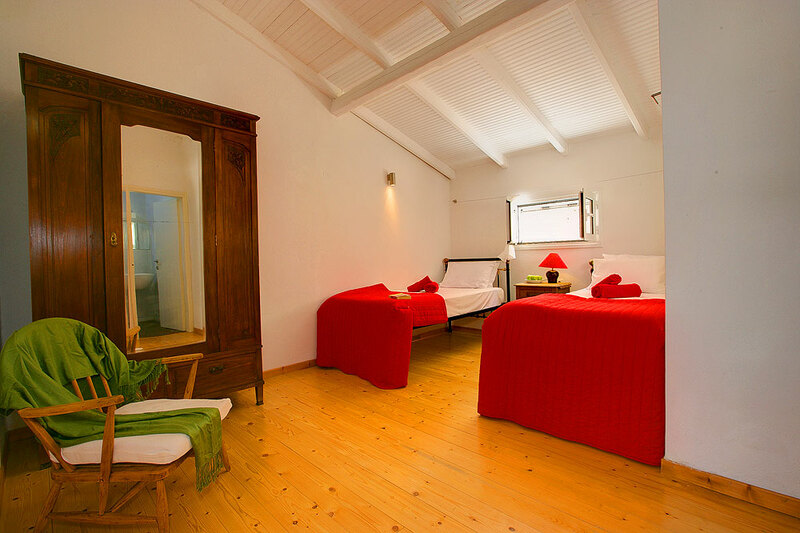 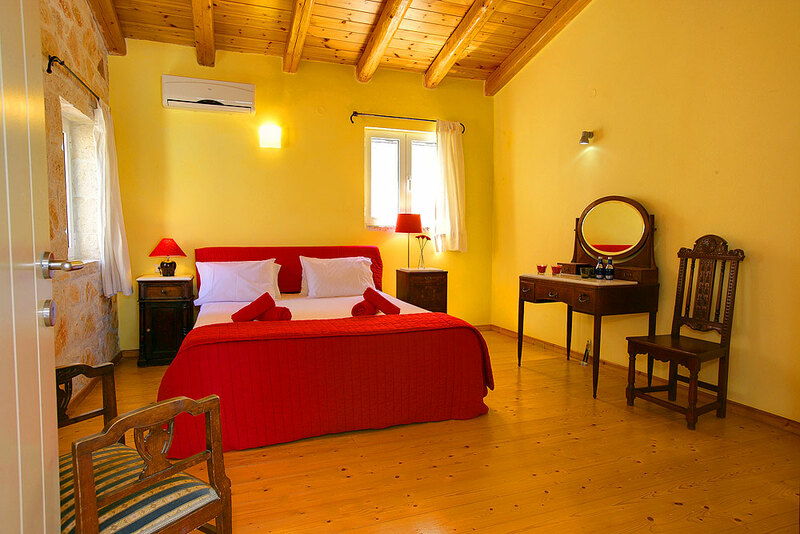 Open on to large terrace with the private pool and with beautiful views of the beautiful Ionian Sea.